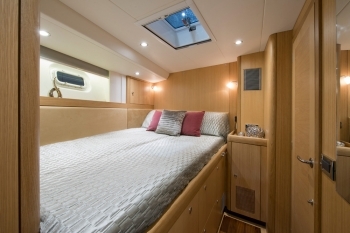 Charter yacht DELICIA has a modern welcoming interior, featuring subtle blue soft furnishings, light oak panels and beautiful warm wood floors. The salon and dining are an open plan. A formal dining table seats 6 guests with ease on the starboard side and a lounge on port, offers additional salon seating for optimum relaxation. A full entertainment center features the latest in electronics and technology. S/Y DELICIA receives plenty of natural light, thanks to the built in vertical hull windows and many overhead hatches and ports. Guest accommodation is fore and aft of the salon. 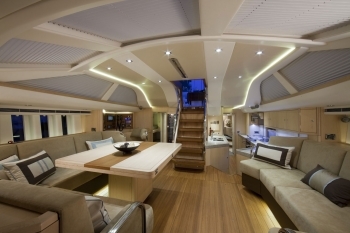 The galley aboard the S/Y DELICIA was placed to port and aft of the salon, maximizing guests space. 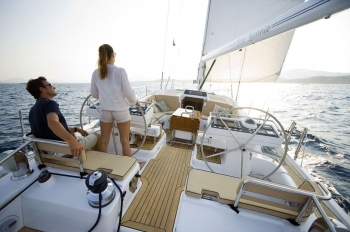 Luxury charter yacht DELICIA has ample exterior deck areas, ideal for guests wishing to partake in the sailing, or simply relax and enjoy the marvel of the yacht under sail power. The main cockpit is generous and boasts a large fold away alfresco dining table, plenty of upholstered seating and an optional shade. Aft of the guest cockpit, are the dual helms and state of the art navigation equipment. The aft deck is uncluttered and offers built in rail seats. Once at anchor, the wide sugar scoop transom is perfect for the water enthusiasts to access the good array of water toys the DELICIA sailing yacht has on offer. 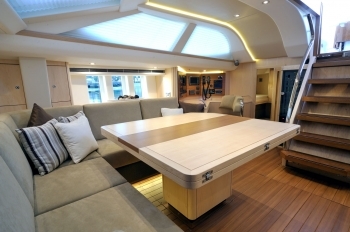 For the sun lovers, the foredeck is ideal with additional sunpads. 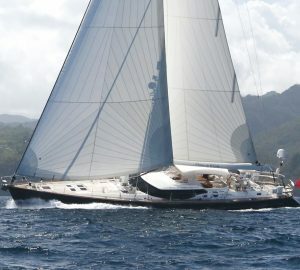 S/Y DELICIA boasts a foredeck Bimini cover upon request. 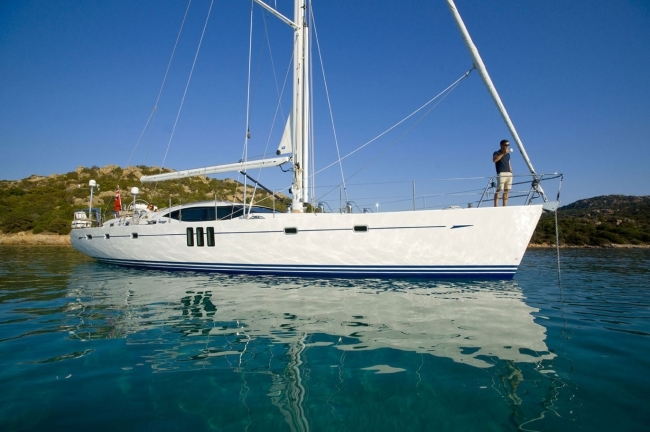 Crewed charter yacht DELICIA offers 3 fully air conditioned cabins for up to 6 guests. 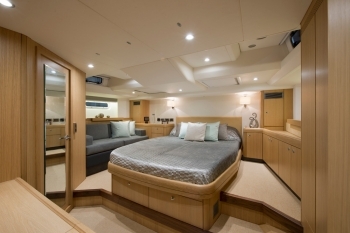 The master suite is aft and full beam of the yacht, with a center lined queen size bed, vanity, love seat and en-suite with shower. 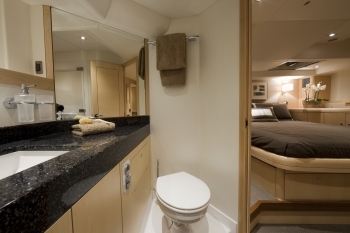 An upper and lower bunk cabin is forward of the master, on the starboard side and offers shared facilities. Forward, a double cabin has a double bed and en-suite with shower. 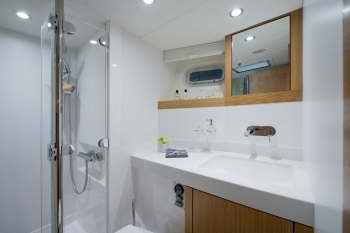 A further forward cabin offers an upper and lower bunk cabin with en-suite and shower.